Earthly year 2013 – Sunday 27th, January. The Olympian and Titan gods from the Olympian Levels give an emergency message, announcing the anchoring and grounding of pulsating vibrations, which come from the Archetype Olympian Levels of the 6th Inter-dimensional sphere of Light. The process begins in the coming hours and will be completed the first ten days of March 2013. Planet Earth is going to accept these pulsating vibrations, which come from the Archetype Olympian Levels of the 6th Sphere of Light (6th dimension). Through these vibrations anchor on planet all the archetypes of its creation. 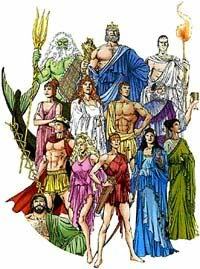 After the process Olympian gods will give a message to the inhabitants of Planet Earth. According to section of the genetic codes of the 6th Olympian Archetype Inter-dimensional of Light, suggest to inhabitants of Planet Earth to eat light food and drink plenty of water.